July 10, 2017 - Weston Forest has acquired Great Northern Lumber of Michigan, the company's first acquisition of U.S. assets. The deal includes a remanufacturing facility in Michigan, which will operate as Northern Industrial Woods Inc.
“We are very excited to acquire U.S. assets for the first time in our history,” Steve Rhone, president of Weston Forest, said in a news release. “Owning a facility in Michigan allows us to support our customers on both sides of the border. In this time of uncertainty around the trade of softwood lumber between Canada and the United States, this is one more step to ensure we can continue to deliver the exceptional service our customers have come to expect from us. “We are thrilled to have a team of people joining us that believe in delivering a great customer experience. We are pleased to have them all as part of our team, and look forward to growing the business and delivering on our brand promise, you’ll love doing business with us,” Rhone said. 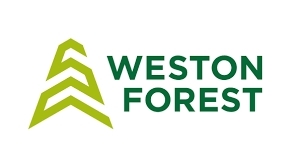 Mississauga, Ont.-based Weston Forest distributes and remanufactures softwood and hardwood lumber and specialty panel products. **Correction: a previous version of this article incorrectly stated the deal involved a remanufacturing facility in Illinois.